After linkedIn now Yahoo! is hacked. 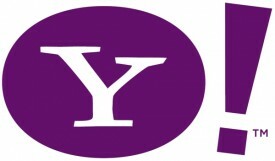 Total 450,000 password are available online.With web servers of internet giant Yahoo proves insecure for its users, it is better to change your password if you’re a Yahoo Voices user, warns Mashable in one of its report. Security for the service appears to have been compromised early Thursday morning. Hackers appear to have breached a Yahoo Voice server and posted around 453,000 user accounts and passwords online. D33Ds Company, a hacking group, made a file available on Wednesday with the credentials visible in plaintext. At the end of the document the group remarks that it posted the information to be a “Wake-up call” rather than a threat. “We hope that the parties responsible for managing the security of this subdomain will take this as a wake-up call, and not as a threat,” the document says. “There have been many security holes exploited in webservers belonging to Yahoo! Inc. that have caused far greater damage than our disclosure. Last month 6.5 million LinkedIn passwords showed up on a Russian website. Very recently, 450,000-plus Yahoo! usernames and passwords were published by a hacker group called D33Ds. On one hand, you want to think that Yahoo! is on top of its own cyber-security. On the other hand, you know its not. So, what do you need to do now? First, change your Yahoo! password. This really is not optional. Yahoo! has been compromised. And, until Yahoo! says that they have found and corrected the security bug that allowed the hackers to access the username and password files, be ready. You may need to change your password more than once. As you know, I am an advocate of strong passwords -- inconvenient, long, strong passwords. 7-1d7w!Ka was my Yahoo! password until a few hours ago. Can you guess the phrase I based it on? Hint ... it's written in LEET and it is a famous phrase from the 1939 movie classic, The Wizard of Oz. Got it? 7-1d7w!Ka is an abbreviation for, "Toto, I don't thinks we're in Kansas anymore." The letter "T" is represented by a the number "7." The uppercase letter "I" is represented by a "1." The lowercase letter "i" is represented by an "!" and the other letters are just letters. T-IdtwiKa, which gets translated to LEET as: 7-1d7w!Ka, which is about as strong of a password as you can create and it's very, very easy to remember. Here's a simple LEET table. Try to make a few long, strong passwords by picking a favorite phrase or quote from a movie or book and using the first letters of each word to construct your password. Thanks for sharing this very informative post! This is so interesting to know. I really love reading your stuff being posted here.